There used to be a time when the men’s grooming aisle contained little more than shaving basics. That has changed exponentially over the last decade, with the men’s grooming industry growing from shaving essentials into a multibillion-dollar industry chock full of skin, face and hair products. Despite the growth, Black men (and their more-popular-than-ever beards) have gotten the short end of the stick with very few brands made specifically for or even catering to them. That’s where Kenneth Scales’ The BowTie Billionaire comes in. Scales launched his brand in 2016 with an all-natural beard oil after noticing that mainstream brands didn’t feature men that looked like him in advertisements and didn’t speak to his grooming needs. Instead of complaining, he went to work formulating his own beard concoctions for himself and then for others. Since then, he has expanded his lineup, including three signature oils, a beard wash, a hair and beard balm, and a wooden beard comb and brush that are sold in more than a dozen local barbershops and beauty supply stores, with goals of going international. 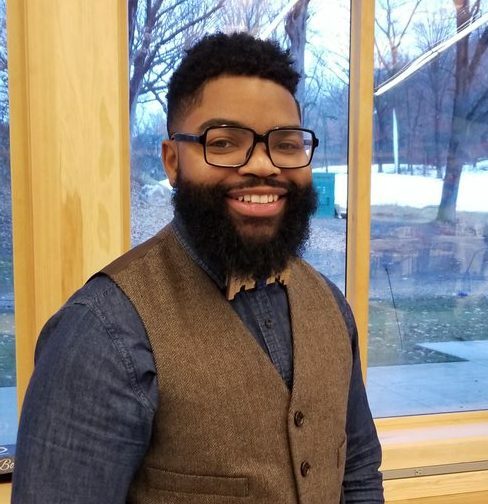 Scales also collaborates with other local Black-owned brands to offer unique handmade grooming sets, including his Billi-Box that features oils from his collection, along with a beard pomade from HWMR and whipped shea butter from Butters By Jay. We caught up with the beard maestro — who refers to himself as “we” (he’s got big dreams) — to talk about his inspirations and how self-care is helping to build a community’s self-esteem. Minnesota Spokesman-Recorder: What inspired you to launch/start your business? Kenneth Scales: A lot of African Americans don’t really know too much about men’s personal care products. In the industry, it’s very White, so we got into business to hit a target market that wasn’t [being served]. I’m all about scents, too. I wanted my beard to smell good and [create] something that complements and builds up the self-esteem — and smell good while looking good. And even though I’m a Black entrepreneur, I’m not just like “only Black people get this oil” — it’s for everybody. I believe in inclusivity. KS: The beard oil. That’s what I started off with. The original oil is made out of two main ingredients: castor oil and sweet almond oil. Growing up, my grandma used to always say, “Put some castor oil on there” — so I used that, and then sweet almond oil, which is a really good oil for the skin, it’s good for moisturizing. I didn’t want it to be too oily and thick, so those two are a perfect combination. KS: I feel like people love it for the culture. When I first got in the business, I had friends always tag me onto somebody else doing beard oils and I’m like, that’s great for the culture. As African Americans, it’s not enough of us in the personal care product industry as is, and so as many more people are doing it, the better. I remember I was at a pop-up shop over the past summer. This lady came over, she was like, “Hey, here’s my son. He’s dealing with low self-esteem. He saw your Billi-Box and I’m [going to] buy him one” and she bought him the box. That right there just took the cake for me. Also, teaching other people how to tie bow ties, just something small, to spend time and groom yourself. And, it’s important for me to do all natural as well, because I know my skin is sensitive and I didn’t want anybody else breaking out over stuff like that. A lot of [brands] do synthetic stuff and I was wanting to be as natural as possible. MSR: What’s your vision/goals for your business? KS: Minnesota is the hub, this is where we started, but [we’re] looking at branching it off into many different sectors and eventually taking it international. Right now, [we’re exploring] how to get there, looking at getting into Target [and other retailers] and maybe find a manufacturer to manufacture our oils so we are able to grow globally. I would like to be able to open up a business in Africa and having a Bowtie Billionaire Africa. Part of the plan is also having our own factory and creating our own, and getting bigger like that. KS: The most challenging thing in entrepreneurship is that it’s always a roller coaster — you get your highs and your lows, so it’s staying motivated, staying inspired, and keeping the vision alive and knowing why you’re doing this. And trying to grow big and trying to figure out how to get to there. That’s been the most challenging. And then, how to source different products. How do you get the best price on bottles? Where do you get the oils from? How do you bring everything together? MSR: What is one thing you wish you knew before launching your business? KS: Who not to go into business with! Not to waste time on people that say, “I’m this, that and the third” and then it’s totally different. I wish I would’ve known that before then, but now I know, so if it ever came back up again, I’ve been through that already. When you’re at a pop-up and let’s say you don’t make any money, cool, but you build relationships with people. It [becomes] a family — anytime you go to a venue, you might bump into other entrepreneurs and meet entrepreneurs and figure out what they do and how you can support each other’s movements. The BowTie Billionaire is offering MSR readers a 10 percent discount on their next purchase through the month of December. Use code MSR19. Visit thebowtiebillionaire.com to check out the full beard care lineup along with other merchandise.